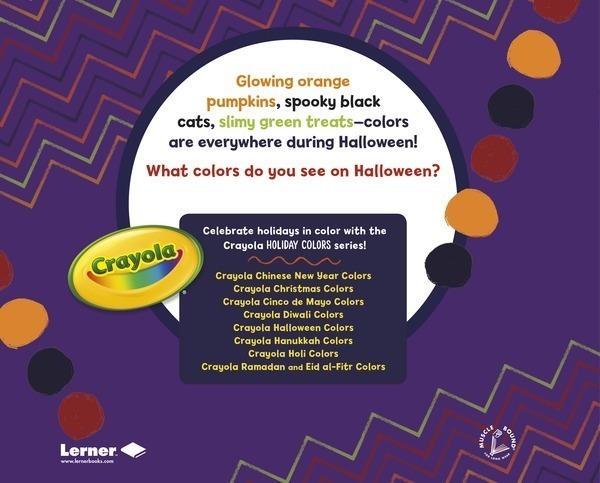 Glowing orange pumpkins, spooky black cats, slimy green treats—colors are everywhere during Halloween! Explore the colors and customs of this slightly scary and fun-filled holiday. Crayola ® colors and a reproducible coloring page inspire readers to notice and celebrate the colors of their world.